Pooches and owners alike can relate to this common problem, and getting the magical, behavioral transformation you've always fantasized about is closer than you think -- premier pet care authority Camp Bow Wow is holding a contest, "Bad to The Bone: Camp Bow Wow's Worst Behaved Dog Contest," to discover North America's most ill-mannered dog. The winning pooch will receive a full year of free services ($3,000 value) at a local Camp or Home Buddies (an in-home care service offered by Camp Bow Wow) of their choice. Most importantly, the winning dog will also receive free dog training to correct those bad habits. If your beloved Fido is still opening cabinets and devouring furniture, enter him or her in Camp Bow Wow's contest. 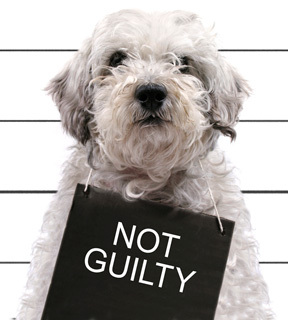 Participants can enter on Facebook, www.facebook.com/CampBowWow, with an incriminating picture or video and a story explaining your dog's disobedient behavior. Voting is also handled via Facebook -- the contest runs through May 18. For more information, visit www.campbowwow.com. See the full list of entry rules online, as well as a location finder for the nearest Camp Bow Wow or Home Buddies near you.